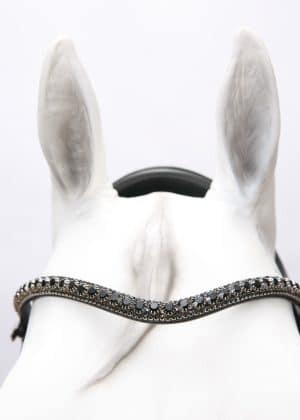 Softly padded headpiece leaves plenty of room for the ears. 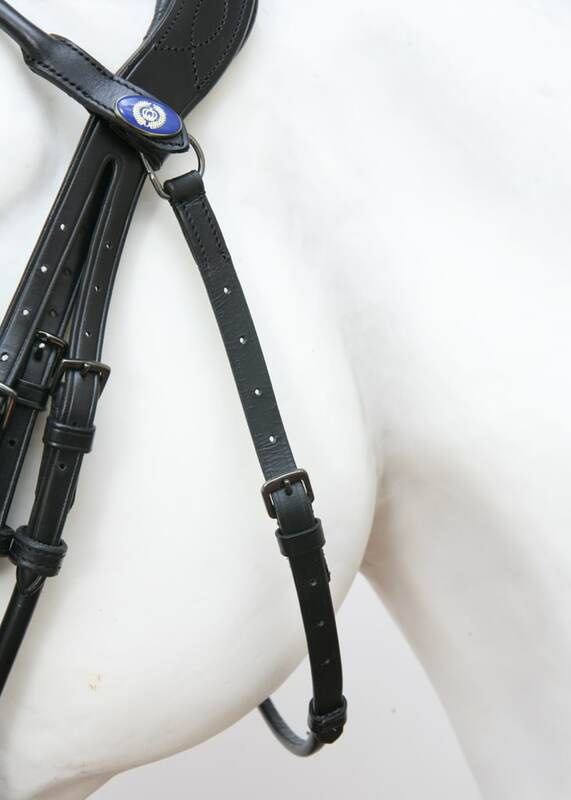 Air foam padded, extra wide (5 cm), bicolor noseband, is decorated with crocoprint leather and lacquered piping. 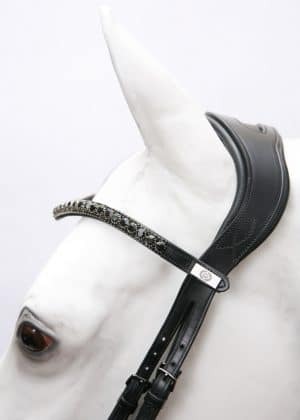 Browband, cheek pieces, and flash are round stitched/rolled leather. 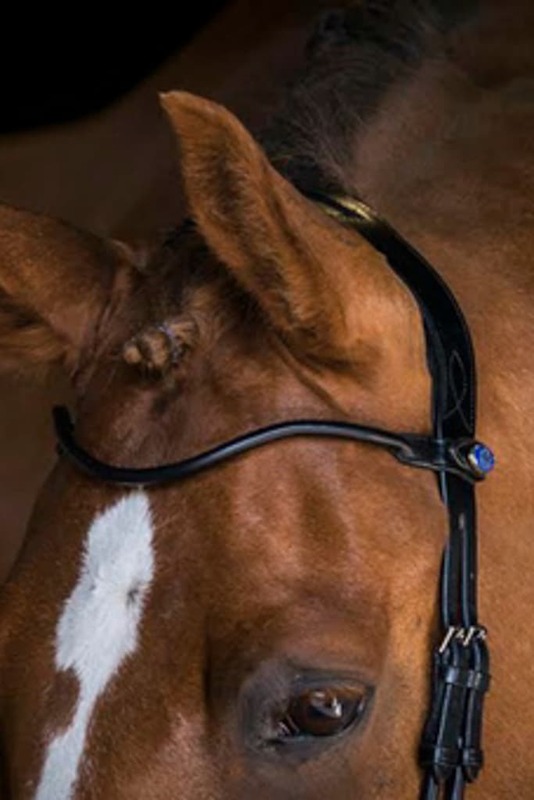 Cheek pieces with hidden hook studs are horizontally adjustable to avoid pressure on facial nerves. 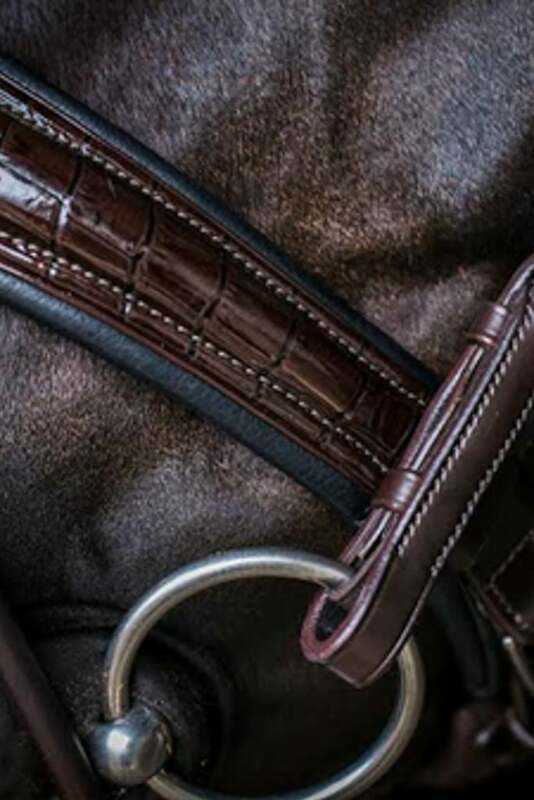 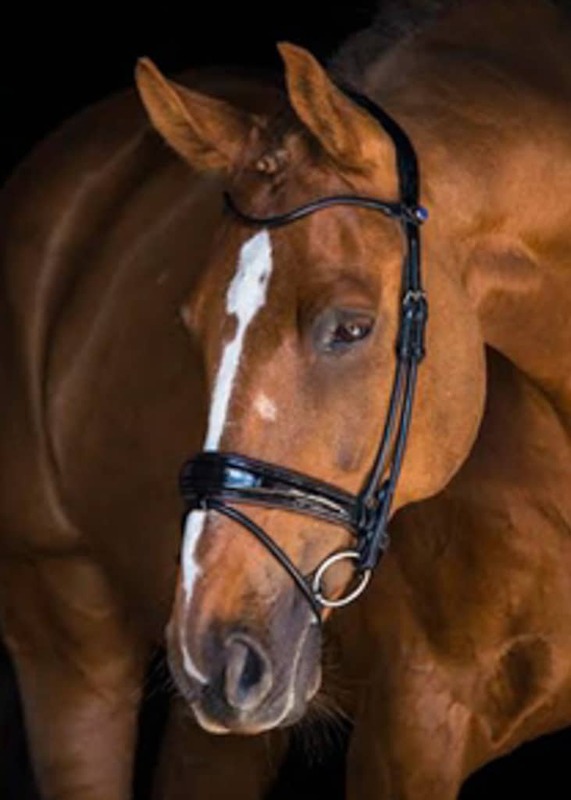 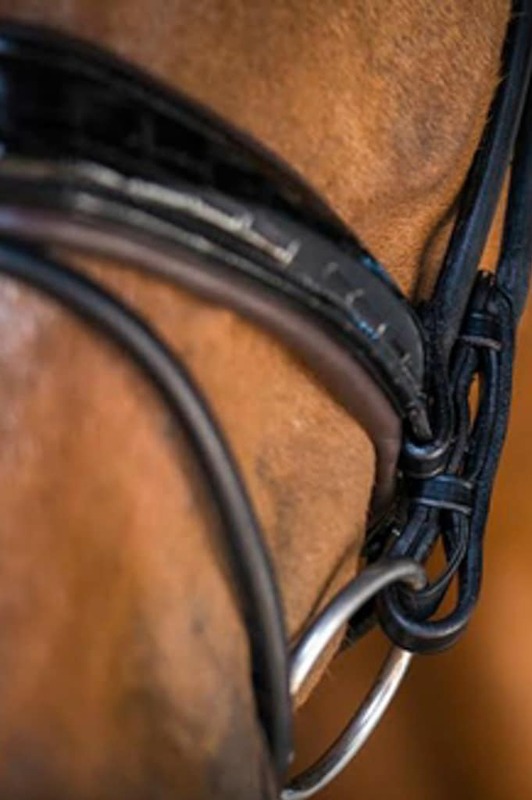 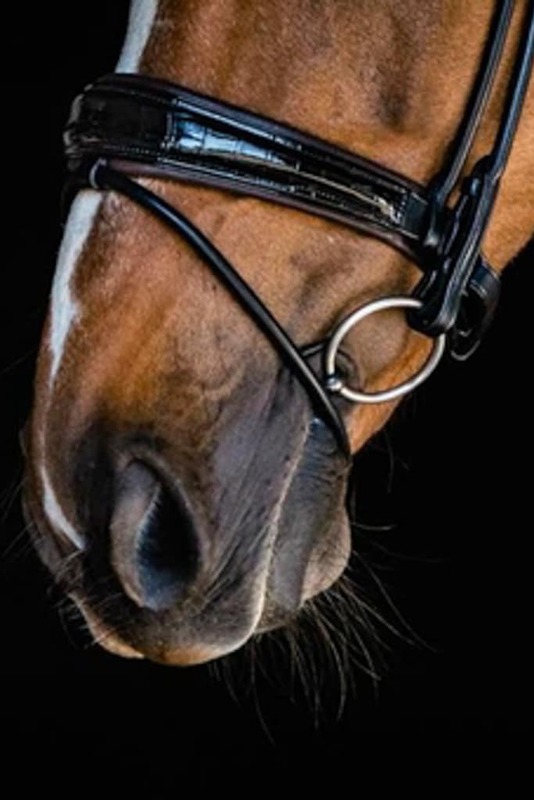 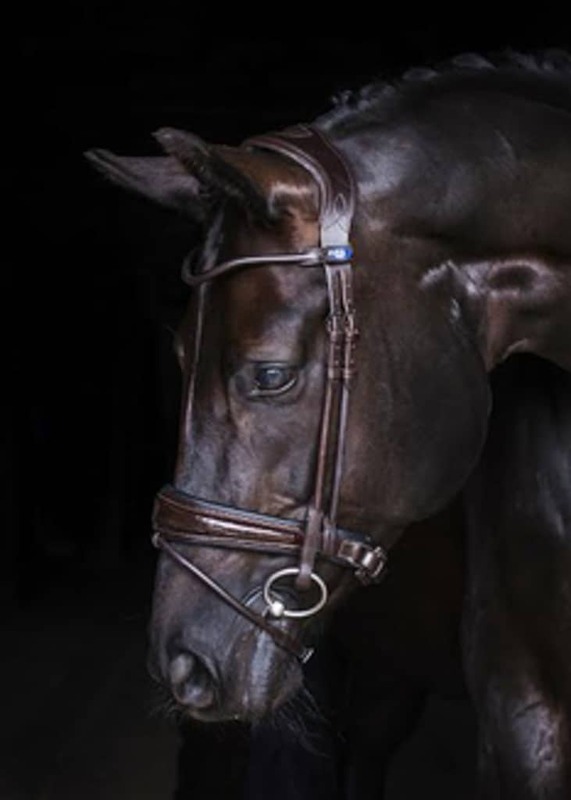 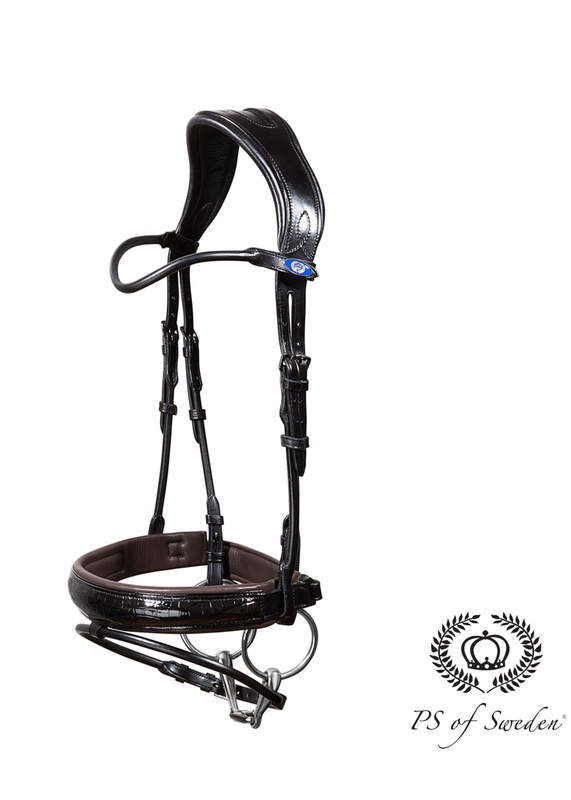 Elasticized Cradle™ on cheek pieces allow the bit to suspend in the horse’s mouth. 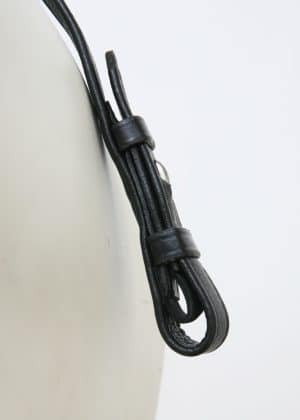 The Cradles can be detached easily if desired. 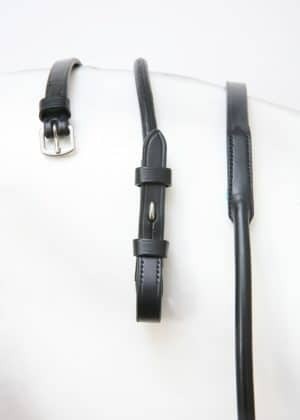 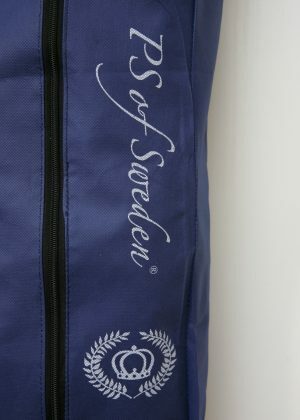 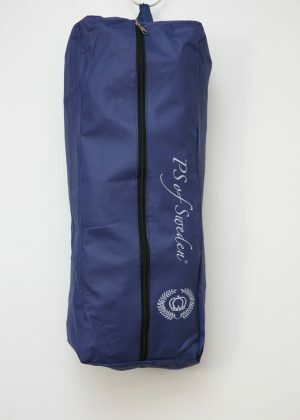 Please note that all size and color combinations are available from the manufacturer. 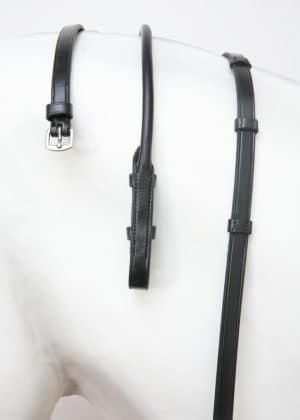 However, we may not have a specific size or color immediately available for purchase We will make every effort to get the item you need as quickly as possible.